A United states Military Tradition. Being a student can be tough. It’s a unique challenge for a young person to learn to properly manage their time and balance their responsibilities without parental oversight. Luckily, for students interested in joining the armed forces after college, the Reserve Officer Training Corps (ROTC) is a solid option. In return for the hard work and intense instruction cadets put into the program, don’t they deserve their own set of custom military challenge coins? 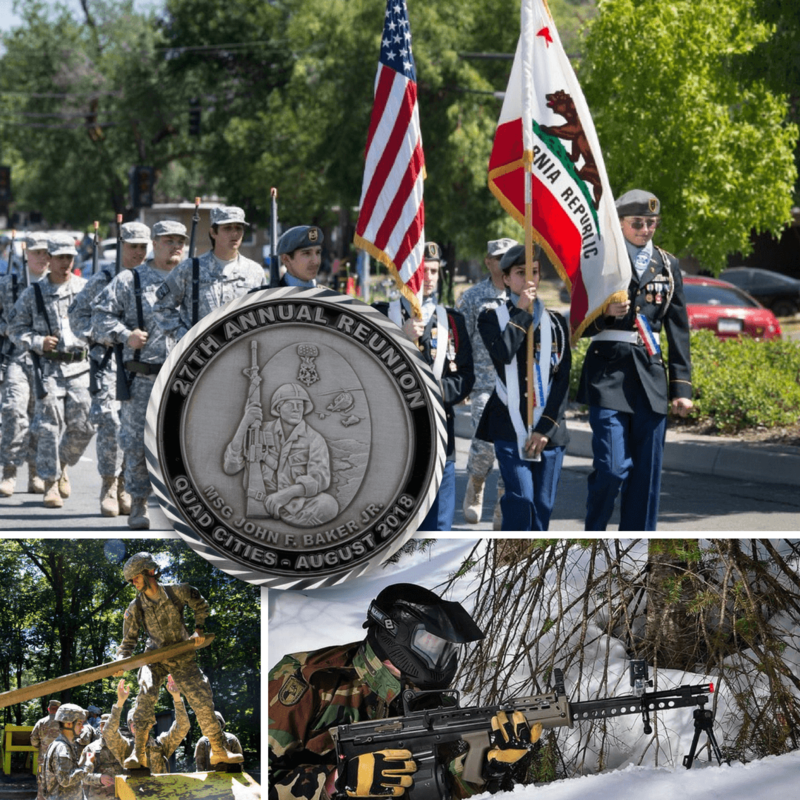 At Signature Coins we’ve had over 15 years experience providing coins for every branch of the U.S. military and in recognition of all kinds of special events, milestones and achievements. Over so much time, we’ve been able to streamline our order process to make it customer-friendly and simple. 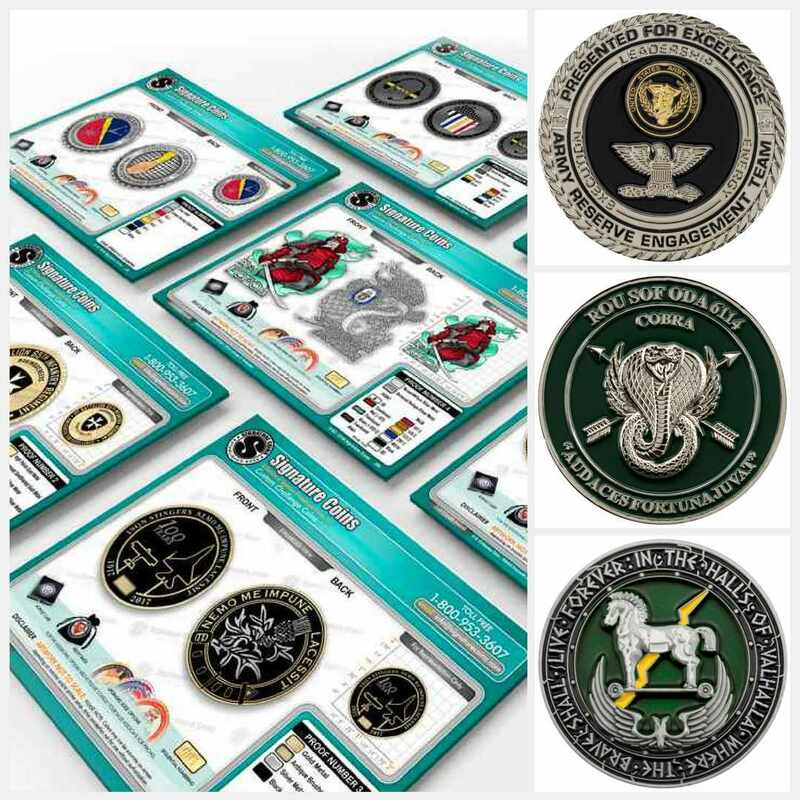 With Signature Coins, you’re sure to be able to create the most unique custom challenge coins for your ROTC cadets. 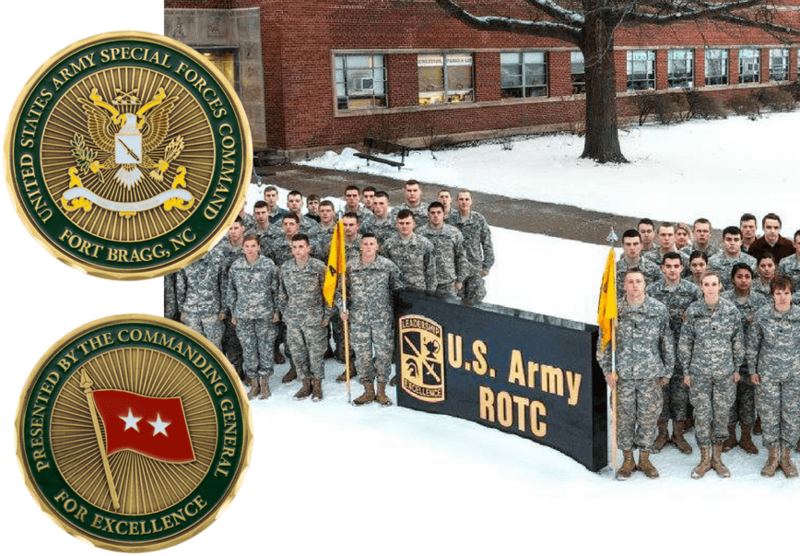 What Are ROTC Challenge Coins? 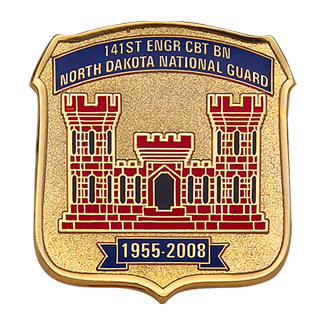 Challenge coins are a military tradition dating back to WWI. 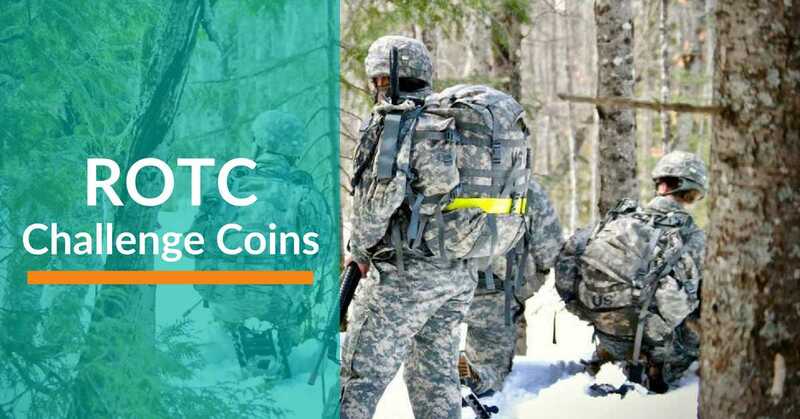 They serve to instill a sense of unity to the soldiers who carry them and boost the morale of units who participate in the unique traditions that have popped up in conjunction with the coins. Whenever a soldier is challenged to produce his or her coin, they have to do so immediately or risk suffering for their unpreparedness. The penalty for a soldier not having their coin close at hand when challenged is that he or she has to buy a round of drinks for the soldiers with coins. On the other hand, if the challenged soldier does have their coin ready to be presented, then the challenger is responsible for buying the drinks. With ROTC cadets being high school and college students, they aren’t likely to be allowed to drink or purchase a round of drinks, but the traditions have been adapted with younger soldiers and cadets in mind. For example, if buying a round of drinks is not an option, cadets who fail the challenge can be charged with performing a service, or taking over chores for the challenger. With ROTC programs being offered at over 1,700 college campuses across the country, more and more students are electing to choose it as an elective. When you consider the manner in which the military elects to pay for all or a part of their tuition, as well as all the useful skills they learn, it’s easy to see why. ROTC programs impart skills applicable to being a soldier as well as in other areas of life. Students who graduate from the program not only get to enter the military as officers, but also with a collection of skills they’ll be able to apply to situations for the rest of their lives. The time after high school and during the beginning of college can be difficult for a lot of people. It’s a big adjustment in life, and being a college student is unlike anything they’ve ever faced before. While a cadet who has joined the ROTC might seem like they’ve made up their mind about the next step in their careers, that isn’t always the case. One of the things that can make this timeframe a lot easier for someone is the feeling of belonging to an exclusive group or club. Custom ROTC challenge coins are the perfect way to instill a sense of unity and belonging to those carrying them. Because challenge coins are typically earned with the passing of some big milestone or in relation to some other kind of personal achievement, they’re also a great way to help cadets feel recognized and valued. The appreciation and pride a cadet will feel at being recognized by their superior officers is the sort of thing they’ll take with them throughout the rest of their military career. 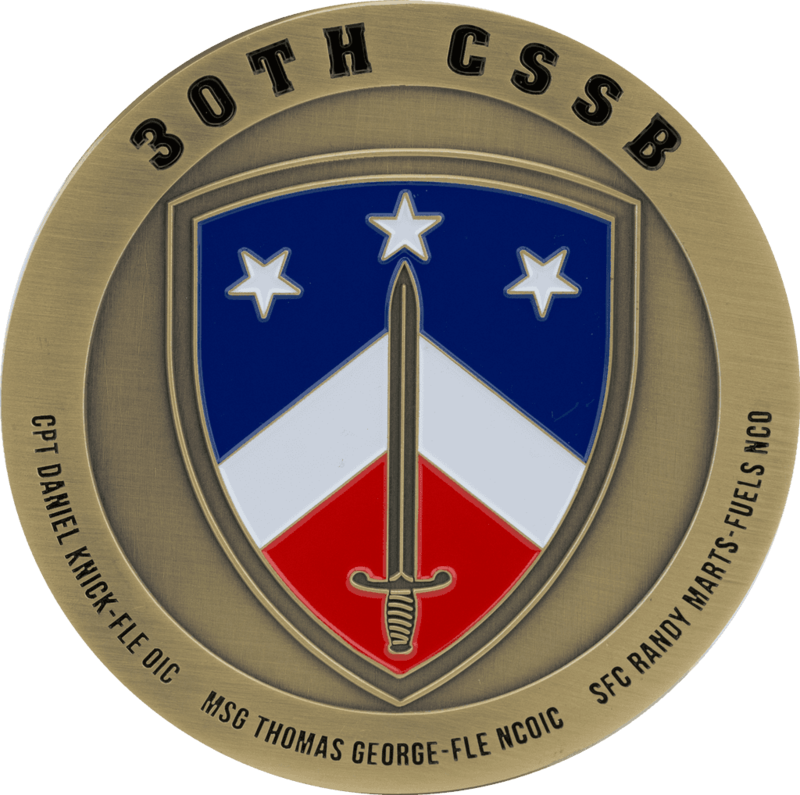 You’ve got options when it comes to the creation of your custom military challenge coins. 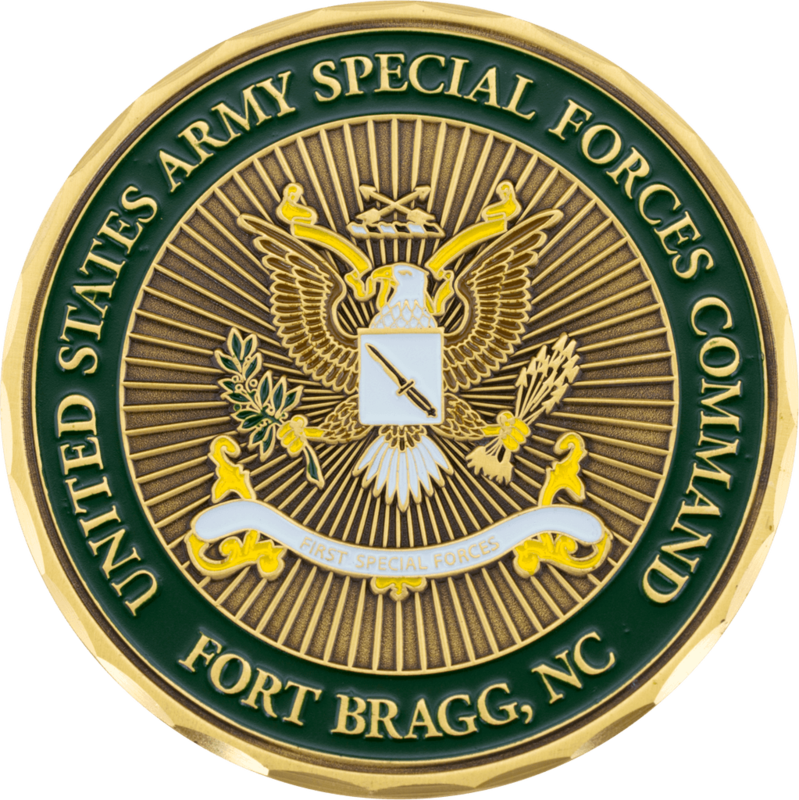 With over 15 years of experience serving the U.S. armed forces, Signature Coins prides itself on its ability to provide unparalleled service to customers. Free Artwork & Design: Our artists help you create the artwork and design your custom coin. No Cost Unlimited Revisions: Revise the coin until you’re happy with it. Free Mold & Setup: Unlike other coin creation companies, we do not charge for your custom coin mold or setup. Some clients elect to keep their mold after production. 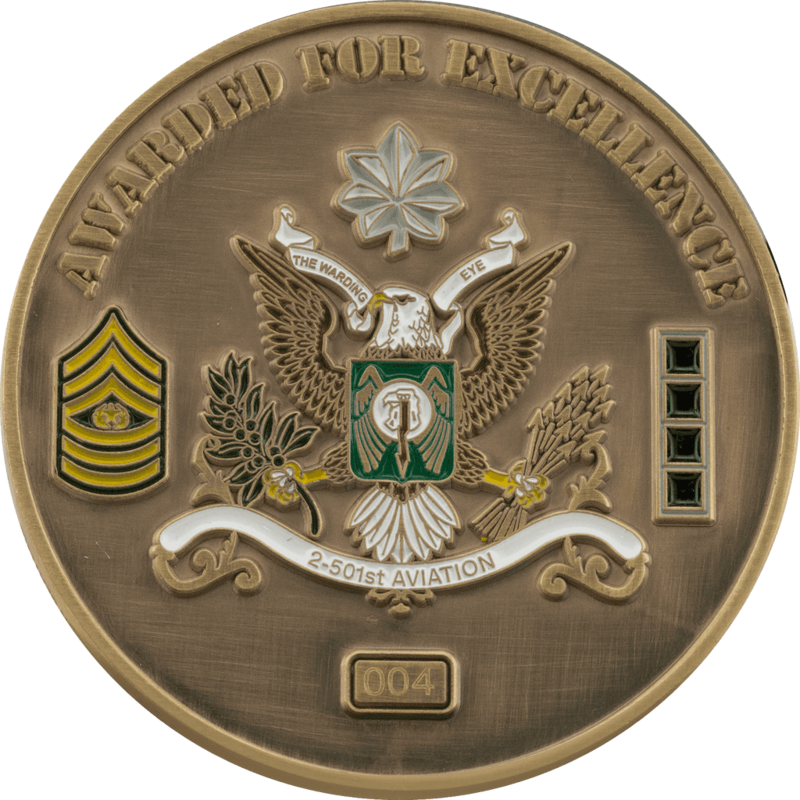 UPS Priority Air Shipping: We will deliver your custom challenge coins to you no matter where you are stationed around the world. 100% Quality Guarantee: We guarantee our quality and customer service, and are backed by an A+ Better Business Bureau (BBB) rating. Contact us today to get your first free art proof and witness first hand the results of the hard work and dedication that has gone into earning that A+ BBB rating. 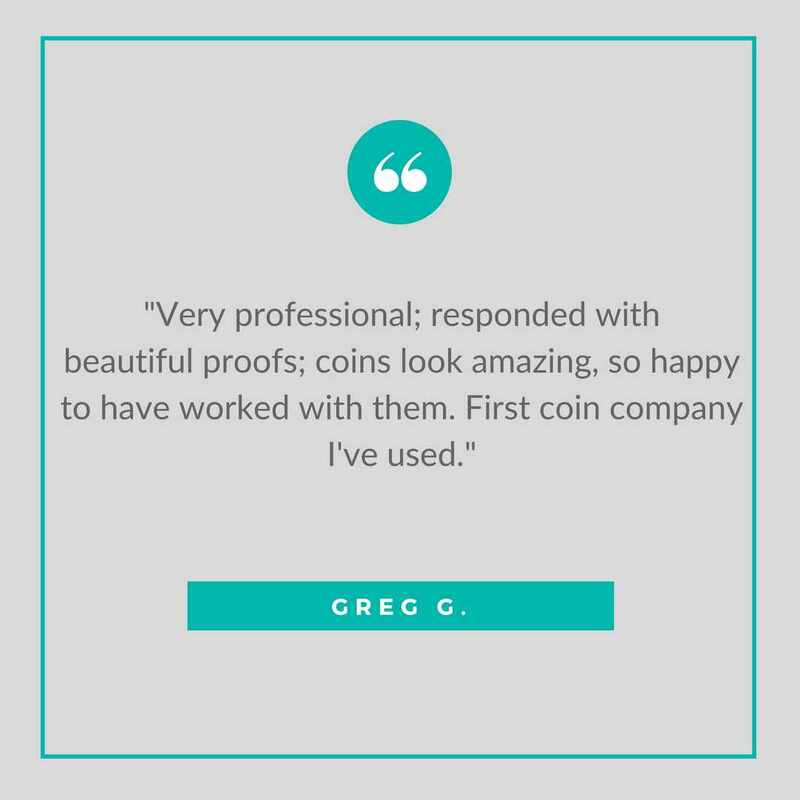 One thing over 15 years of experience has been able to teach us at Signature Coins is how to perfectly streamline the custom coin ordering process. As a result, we’re able to promise you the following simple three step order and delivery process. 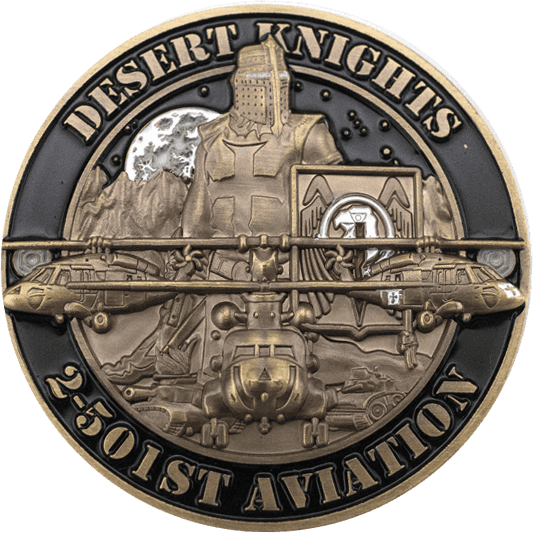 Step One: You contact us either by phone, email or through one of our quote request forms on this page, and tell us what you want on your custom challenge coin. Within 24 to 48 hours, you’ll receive the first proof of your coin and a quote for the order. Step Two: Once you receive your first art proof and quote, you’re in the driver seat with our unlimited free revision process. This means you’re free to suggest as many edits and request as many revisions to your coin as you need to get it absolutely perfect. Only when you’re happy with the design and final look of your coin will we move forward into production and delivery. Step Three: Once you’ve signed off and your order has been processed, we’ll begin production of your coins and ensure that you’ll have the final product delivered to you in 14 days or fewer via FREE UPS Priority Air Shipping within the U.S. Your ROTC cadets will go through a number of experiences for which they’ll earn custom ROTC challenge coins. Here at Signature Coins, we look forward to being entrusted with the task of providing those coins and earning your business.